Evening all. Hope you had as good a weekend as I did. Went to a class run by the lovely Rae Dalal on Saturday. We did a shadow box and each and everyone was different and absolutely brilliant. Can't wait to see what we do in the next class. Right back to business. This evenings card is one done for the husband of a dear friend that I've known for a number of years. Hope you like. Oooops didn't take a photo of the final card with age put in top left handside! 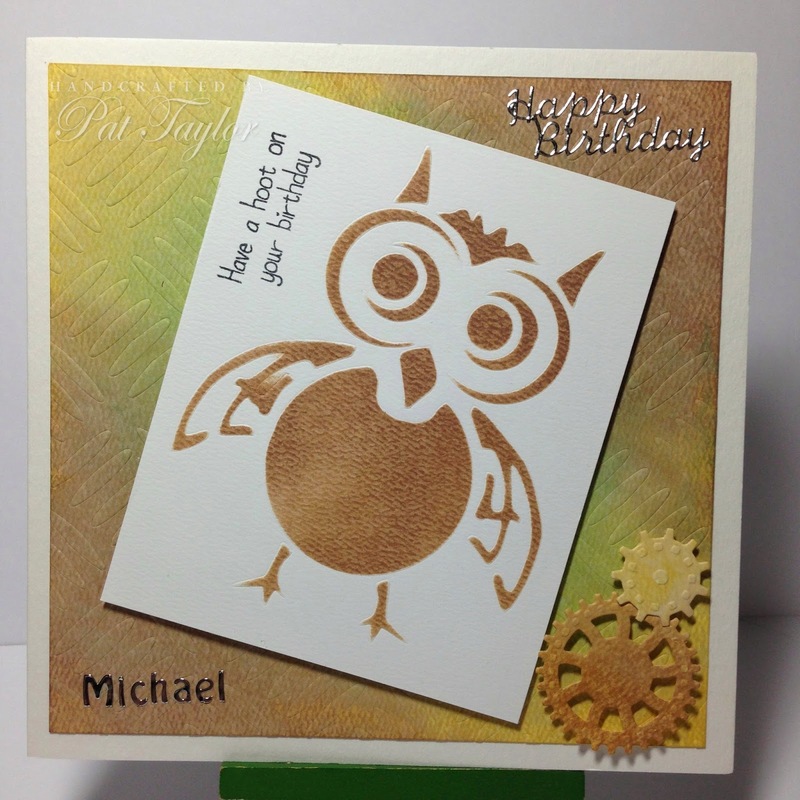 It was a quick card to do and I enjoyed getting inky! Love the owl and the background looks fabulous. So cute Pat. Love the owl. Great CAS card for a man - love that owl!